Have you ever experienced a near drowning? With more than 300 people in the United States accidentally dying each year from a completely preventable accident like drowning Rotarians have strengthened our efforts to help people be water wise. Josh the Otter is our mascot for helping keep kids safe around water. Sure Parents play a role but we want to make sure kids know the dangers too. In Arizona we have even had kids perform cps and save the life of another child because they were prepared to take action when the emergency presented itself. Please read through these tips to help make our community water safe. With lakes, canals, pools and rivers all throughout our great state, we want to make sure we provide you with every tool and tip you need to make sure your loved ones are safe. Many times city’s have ordinances for pool fences and other barriers to keep kids safe. But they often only apply to residents if that home. Be especially careful if you are a grandparent or friend that has kids over to your home with a pool. Some kids haven’t had the chance to take a swim lesson, so while they may seem old enough to swim, they may not know the danger that water can present. Here is a simple training video that we like to share with kids. Is this really such a huge problem? Silently. Contrary to popular notion, most drownings do not involve loud thrashing or verbalization of distress. Prevention is key to decreasing drowning. 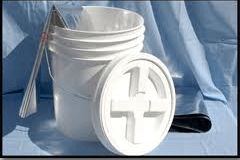 In 5-gallon buckets. Toddlers naturally like to explore. They are mobile and get away from the watchful eyes of adults quickly. They are top-heavy. They tend to fall forward. They don’t have enough muscles to pull themselves out of a five gallon bucket or a toilet. In less than 30 feet from help. 90% of drowning deaths occur within 10 yards of safety. Contrary to popular opinion, the victim does not wave or call for help. Breathing instinctively takes precedence. Sometimes the victim obtains an upright posture, with their arms extended laterally, thrashing and slapping the water. When this happens it is often mistaken for playing and splashing in the water. Next the head submerges and surfaces several times during the victim’s struggle for air. In children this can last for up to 10 seconds. An adult may be able to struggle for up to 60 seconds. Inhalation is prevented only by the involuntary closure of the glottis. Soon after, involuntary gasping occurs for several minutes. At this point there is swallowing of large amounts of water into the stomach. Consciousness is lost within 3 minutes. Water is now able to passively enter the lungs. Finally, cardiac arrythmias, convulsions, spasmodic efforts, and death occur. The most important component of preventing drownings is constant supervision. Adults can offer non-swimming water activities. 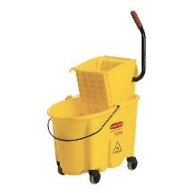 Empty buckets, pails, and bathtubs completely after each use. Never leave children alone around any water. Cover and lock the hot tub, spa, whirlpool or fence it in like a pool. Adults supervising children in the water need to be able to scan the supervised area within 10 seconds and each a person in distress within 20 seconds. Think through an emergency action plan before it is needed. Never leave a baby in the tub even for a second. Children drown with the seats and rings quickly and silently. Most siblings are not old enough to properly supervise a young child in this situation. Keep the toilet seat cover down. Consider putting a latch on the bathroom door high enough to be out of reach of an interested infant and toddler. Do not leave containers in the yard where they may collect water and attract a child. Plan ahead. Before waterplay, think about what might call you away. The phone, needing a towel, front door bell, getting a Band-Aid. Even good planning can’t account for every situation. If you need to leave the water play area, EVEN FOR A FEW SECONDS, take the children with you. If you choose to use a pool with children, remind children of the rules each time you use the area. Remember, diving into shallow water causes spinal injuries. Never allow diving in above ground pools, shallow water, or unknown areas. What to do when seeing a child in trouble. Get the child out of the water. If you are unable to safely pull the child from the water, throw a floating object, life jacket, kick board, even an empty jug. If the child is unreachable, help use a pole, ring buoy, or even a tree branch. If you have to enter the water, bring something that floats. Keep it between you and the child. Many victims have drown their rescuer. Start checking the A,B,C’s (airway, breathing, circulation). Don’t talk to others. It is too easy to be distracted. Check every face every 10 seconds. Be able to reach every child within 20 seconds. Call for backup if you are unable to devote 100% of your attention on the children. Tell swimmers to let you know immediately if someone might need help. Have throwing devices, reaching devices, a first aid kit, and signaling devices close at hand. Be mindful of double drownings. You are easily identifiable to the children in your group and other adults. You are ready to launch a rescue – swimsuit, whistle, reaching/throwing device in hand, first aid kit & (cell) phone available. You are positioned to see the entire area of responsibility – including every child in your group & the pool bottom. You are alert, actively scanning every child in your group every 10 seconds – no conversations or additional activities. You are able to reach any child in your group within 20 seconds. You are exhibiting professional demeanor in posture, behavior, and attentiveness. The aquatic environment is well maintained, safety line is in place, safety equipment is easily available & in good condition, paperwork for each child is readily obtainable. Constant supervision! Never leave a child unattended in a water area. Even for a moment! Post water awareness signs and stickers on doors and gates. Show and explain these to children. Never rely solely on floatation devices for non-swimmers. Utilize within reach/touch supervision of the very small children. NO swimming should be allowed in a cloudy, chemically imbalanced pool. Ensure you can see the bottom of the pool and clearly identify the drains. 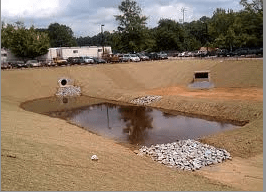 Do you have the new non-entrapment drain installed? Is your pool completely fenced in? Four sided fencing of the pool itself. Do you have self-closing hinges and latches on all doors and gates leading to the pool area? Are the latches over 4 feet tall? Child safety latches? Is there a CPR trained person in the household? If not get certified. Visibly post CPR instructions in the pool area. Require each swimmer to have a swimming buddy. Is there life saving equipment on hand by the pool? Life preserver, grab bar. Never allow diving in any area less than 8 feet in depth. Clear entire pool area of pool toys, float rafts, etc. when pool is not in use. Do you have a pool cover? Ensure it is closed before leaving the pool area. Do you have a water motion pool alarm? Take turns wearing a water watcher tag. The Water Watcher must pledge to focus only on the pool, NO PHONE, NO DRINKING, etc. If large groups of swimmers are expected such as pool parties, hire a lifeguard for the day. Have a phone in the pool area. Call 911 immediately in case of an emergency. Are there alarms on all doors leading to the pool or water area? Are there child safety locks on all doors that lead to the pool or water area? Do you have a large dog door that leads to the pool or water area? If yes, please secure it. Leave pool area at the first sign of stormy weather. If you can say YES to all of these than CONGRATULATIONS! NOW STAY DILIGENT! If you cannot say YES to all of these, please get started now! AND BECOME MORE DILIGENT! Water in and around your home can be very dangerous for young children. They can drown in only an inch or two of water. Hot water can burn a child in seconds. You need to watch your children very carefully when they are in or near water. Always stay close enough to touch your child when he or she is in or near the bathtub, toilet, pools, spas or buckets. Watch them every second. Only grownups should be in charge during bath time. Do not leave young children in the tub alone with older children. Baby bath seats are not a safety device. They should never take the place of an adult. Drain the bathtub as soon as bath time is over. Keep bathroom doors closed. Use an outside lock or a door knob cover to keep young children out of the bathrooms when you are not with them. Use toilet seat locks and keep toilet lids shut. Empty all buckets when you are done using them Store them upside down. Store large buckets where children cannot touch them. Put a fence all the way around your pool or spa. The fencing should be at least five feet high and a self-closing and self-latching gate. Always keep the gate closed and locked. Always stay close enough to touch your child when he or she is in or near the pool. Make your child wear a Coast Guard approved life vest if they are not very good swimmers. No child or adult should swim alone. Pool drains are dangerous. They can trap a child under water. Cover your drain with a safety guard (you can get them at a pool supply store). Teach your children to stay away from the drain and filters. Teach them never to sit on a pool drain. 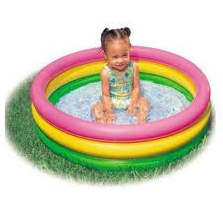 If you have a wading pool, empty it every time. Store it upside down so that rain does not collect in it. Hot water burns like fire. Use a thermometer to test the water coming out of your tap. It should not be hotter than 120 degrees Fahrenheit. Set your water heater at 120 degrees Fahrenheit to prevent burns. When bathing children, always stay close enough to touch them. Turn the cold water on first and then add warm water. Use a thermometer to test how hot it is. The water should be 100 degrees F or less. Before children get in the tub, run your hand all through the water to test for hot spots. Babies and children have thin skin that burns easily. Install special tub spouts and shower head that prevent hot water burns. Do not store electrical appliances such as blow dryers and radios near sinks and tubs. Keep these out of children’s reach at all times. What’s the best PFD for infants? Are there PFDs for persons with chests larger than 130-cm (52 inches)? TYPE II PFDS / NEAR-SHORE BUOYANT VESTS: For general boating activities. Good for calm, inland waters, or where there is a good chance for fast rescue. TYPE V PFDS / SPECIAL USE DEVICES: Only for special uses or conditions. Note: The Coast Guard is working with the PFD community to revise the classification and labeling of PFDs. When completed, this information will be updated and hopefully be somewhat easier to understand. Meanwhile, spending a few minutes to understand the many options available to find a PFD that you’re willing to wear could mean the difference between life and death for you or a loved one. Each PFD sold for use on a recreational boat is required to be provided with a guide to selection entitled “Think Safe – Choose the Right PFD”. These pamphlets are tailored to the kind of PFD to which they are attached. The following information is a combination of information taken from the various pamphlets and additional guidance. Most adults only need an extra seven to twelve pounds of buoyancy to keep their heads above water. A PFD can give that “extra lift,” and it’s made to keep you floating until help comes. But a PFD is a personal flotation device and it’s important to get the right one for you. Your weight isn’t the only factor in finding out how much “extra lift” you need in water. Body fat, lung size, clothing, and whether the water is rough or calm, all play a part. Read the label on your PFD to be sure it’s made for people your weight and size. Test it as shown in the next section. Then in an emergency, don’t panic. Relax, put your head back and let your PFD help you come out on top. Try on your PFD to see if it fits comfortably snug. Then test it in shallow water to see how it handles. To check the buoyancy of your PFD in the water, relax your body and let your head tilt back. Make sure your PFD keeps your chin above water and you can breathe easily. Your PFD may not act the same in swift or rough water as in calm water. The clothes you wear and the items in your pockets may also change the way your PFD works. If your mouth is not well above the water, get a new PFD or one with more buoyancy. A PFD is designed not to ride-up on the body when in the water. But, when a wearer’s stomach is larger than the chest, ride-up may occur. Before use, test this PFD in the water to establish that excessive ride-up does not impair PFD performance. Most drownings occur way out at sea, right? Wrong! 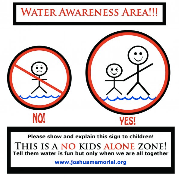 Fact is, 9 out of 10 drownings occur in inland waters, most within a few feet of safety. Most of the victims owned PFDs, but they died without them. A wearable PFD can save your life, if you wear it. If you haven’t been wearing your PFD because of the way it makes you look or feel, there’s good news. Today’s PFDs fit better, look better and are easy to move around in. One more thing. Before you shove off, make sure all on board are wearing PFDs. To work best, PFDs must be worn with all straps, zippers, and ties fastened. Tuck in any loose strap ends to avoid getting hung-up. When you don’t wear your PFD, the odds are against you. You’re taking a chance on your life. Don’t alter your PFD. If yours doesn’t fit, get one that does. Play it safe. An altered PFD may not save your life. Don’t put heavy objects on your PFD or use it for a kneeling pad or boat fender. PFDs lose buoyancy when crushed. Let your PFD drip dry thoroughly before putting it away. Always stow it in a well-ventilated place. Don’t leave your PFD on board for long periods when the boat is not in use. Never dry your PFD on a radiator, heater, or any other direct heat source. Put your name on your PFD if you’re the only wearer. Practice throwing your Type IV PFD. Cushions throw best underhand. Your PFD is required to be in serviceable condition in order to be used on your boat as one of the required PFDs. Check your PFD often for rips, tears, and holes, and to see that seams, fabric straps, and hardware are okay. There should be no signs of water-logging, mildew odor, or shrinkage of the buoyant materials. If your PFD uses bags of kapok (a naturally buoyant material), gently squeeze the bag to check for air leaks. If it leaks, it should be thrown away. When kapok gets wet, it can get stiff or waterlogged and can lose some of its buoyancy. Don’t forget to test each PFD at the start of each season. Remember, the law says your PFDs must be in good shape before you use your boat. Ones that are not in good shape should be cut up and thrown away. Be aware that cold water (less than 70 degrees F (21 Degrees C)) can lower your body temperature. This is called hypothermia. If your body temperature goes too low, you may pass out and then drown. Even if you’re wearing a PFD, your body can cool down 25 times faster in cold water than in air. Water temperature, body size, amount of body fat, and movement in the water all play a part in cold water survival. Small people cool faster than large people. Children cool faster than adults. But PFDs can still help you stay alive longer in cold water. They let you float without using energy and they protect part of your body from cold water. A snug-fitting PFD is better than one that’s loose-fitting. When you boat in cold water, use a flotation coat or deck-suit style PFD. In cold water, they’re better than vests because they cover more of your body. When you’re in cold water, don’t swim unless you can reach a nearby boat, fellow survivor, or floating object. Even good swimmers drown while swimming in cold water. Swimming lowers your body temperature. If a nearby floating object is large, pull yourself up on it. The more your body is out of water, the warmer you’ll be. Don’t use drown-proofing methods that call for putting your face in the water. Keep your head out of the water to lessen heat loss and increase survival time. Use of the HELP position will lessen heat loss. However, if you’re wearing a Type III PFD, or if the HELP position turns you face down, bring your legs together tight and your arms tight to your sides and your head back. See the SURVIVAL POSITION examples shown below. If there are others in the water, HUDDLE together for warmth. Keep a positive outlook. It will improve your chances of survival. Always wear your PFD. Even if you become helpless from hypothermia, your PFD will keep you afloat. 32.5 (0.3) Under 15 min. Under 15 to 45 min. 32.5 to 40 (0.3 to 4.5) 15 to 30 min. 30 to 90 min. 40 to 50 (4.5 to 10) 30 to 60 min. 1 to 3 hrs. 50 to 60 (10 to 15.5) 1 to 2 hrs. 1 to 6 hrs. 60 to 70 (15.5 to 21) 2 to 7 hrs. 2 to 40 hrs. Teach your children to properly wear a PFD. Children panic when they fall into the water suddenly. This causes them to move their arms and legs violently, making it hard to float safely in a PFD. A PFD will keep a child afloat, but may not keep a struggling child face-up. That’s why it’s so important to teach children how to put on a PFD and to help them get used to wearing one in the water. To work right, a PFD must fit snugly on a child. To check for a good fit, pick the child up by the shoulders of the PFD. If the PFD fits right, the child’s chin and ears will not slip through. PFDs are not babysitters. Even though a child wears a PFD when on or near the water, an adult should always be there, too. Parents should remember that inflatable toys and rafts should not be used in place of PFDs. Use the keyword “infant” or “child”. In terms of risk of drowning, the safest Personal Flotation Device (PFD) is the one you’re willing to wear! Wrong. You need your PFD before you’re unconscious, otherwise, how would you put it on? Once you understand the importance of wearing a PFD, you’re prepared to consider the best design for you. There are many good choices to keep you and your loved ones safe on the water. Some of the choices are a better for certain situations than others, and therefore the choices are explained in the “Think Safe” PFD pamphlet that is sold with every US Coast Guard approved PFD. By reading the pamphlet, you can understand how to safely have fun on the water. Obviously, the best PFD is the one that saves your life every time it’s needed. To accomplish that task, a PFD must be available for proper use at the time of an accident, must be designed to perform well enough to keep your head out of the water, and must be reliable enough to provide its design performance when needed. It is the combination of these three characteristics that define the life-saving potential, or safety, of your PFD. If a PFD fails to do any one of these three essentials tasks, it can’t save your life. The perfect life preserver, lifejacket, or PFD has not yet been designed. All the designs in existence today have some limitations. For example, Type I PFDs (off-shore lifejackets) have the highest buoyancy of the inherently buoyant Types, but they are not considered comfortable enough to be worn continuously. Therefore, they are frequently not being used when accidents occur, and many boaters have died that could have been saved with just part of the buoyancy in this kind of PFD. Another example is the inflatable Type III PFDs. These recently approved PFDs provide the buoyancy of a Type I PFD and are comfortable to wear, but they lack the reliability and low maintenance characteristics, and cost, of inherently buoyant PFDs. Because each style has limitations, users are given a choice of PFDs to match to their particular boating activities. The Coast Guard requires the “Think Safe” pamphlet to be attached to each PFD sold in order to give boaters the information needed to make a good choice. Accident data clearly shows that Type III PFDs have very significant reduced fatalities overall, as well as those fatalities in which a PFD was somehow used. While the number of people who boat has steadily increased, the number of drownings (excluding other fatalities) has decreased from about 1500 to 500 annually (from 1971 to 1996) since Type III PFDs were introduced. Equally important, the number of drownings when a PFD was “used” has decreased from nearly 200 to about 55 over the same period. So, while the total number of drownings has been significantly reduced (especially in light of increased boating) the drownings with a PFD used has been even more significantly reduced. It can’t save you if you don’t use it. Research and boating accident statistics have shown that the most frequent failure resulting in drowning is not having a PFD available when needed. Nearly 1300 (1286) people drowned for lack of a PFD in 1971. Since that time, the Coast Guard has approved Type III PFDs which are more wearable, and in 2006 only 423 people drowned for lack of a PFD. This remarkable reduction occurred even though the number of boats increased from about 5.5 million to over 12 million during the same 35 year period. That means that about 40,000 people are alive today because Type III PFDs are approved. That’s 2400 in 2006 alone when the increase in boating and the trend prior Type III PFDs are considered. The Coast Guard approves a number of Types of PFDs so that you can choose the one that best suits your boating activities and environment. All the types are explained in a pamphlet, entitled “Think Safe”, provided with each PFD sold. This means that people who wear PFDs today are safer than they were 25 years ago. What about someone drowning while using the “wrong” type PFD? About 423 people drowned in 2006, apparently because they didn’t have a PFD that they were willing to wear. About 51 people died in accidents where PFDs were used, but only in a few of those cases is there any indication that a higher performing PFD might have prevented the drowning. In the majority of cases, other contributing factors would have overcome the benefits of any PFD. The factors include: being trapped in an overturned boat, being held under a boulder or log by the strong currents of white water, removing the PFD for some reason (like swimming to shore), becoming hypothermic due to the duration of exposure in cold water, suffering other injuries that led to drowning, etc. How would you tell someone to safely cross the street? Would you be remiss if you didn’t warn them to look out for objects falling from the sky, like airplane and satellite parts? After all, things can fall out of the sky and kill you; however, the probability is very low. A pedestrian is much more likely to be struck by a car when crossing the street than by falling objects. Likewise, one is much more likely to drown while boating due to not wearing a PFD than wearing one with inadequate performance for conditions which occur only occasionally, and only at places and times that most boaters know to avoid. Additionally, the very best performing PFDs ever made, Type Is, provide only a small increase in probability of survival over a Type III PFD. Inflatable PFDs have a number of limitations as explained in the “Think Safe” pamphlet provided with them, and in some cases, as marked on them. They are not recommended for non-swimmers and not approved for use on personal watercraft and in water-skiing and similar water sports. Additionally, as characterized in the pamphlet, the reliability of inflatable PFDs is less than that of inherently buoyant PFDs. 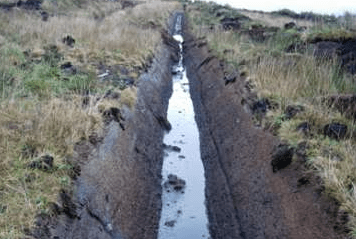 Some say that maintaining them is easy, but that is a small part of the issue. Actually doing the maintenance is the most frequent problem noted in studies to date. So, while inflatable PFDs may increase use in some circumstances, they aren’t suitable for all boating activities, and their reliability when maintained by boaters is yet to be proven. Conclusion: The best PFD is the one that matches your needs! Questions: What do you recommend for a 7 month old child? She rides in the car seat while in the car but it seems like that would sink like a rock if the boat ever capsized. What should she sit in and what type of life vest would you recommend that she wear? USCG response: We recommend a Type II infant PFD for a child of this size. Question: What are the recommendations/requirements for seating of infants in a recreational craft? USCG response: If an infant is onboard a recreational boat, there must be an infant Type II personal flotation device (PFD) available for that individual. We recommend that the infant wear the PFD at all time while onboard the boat. There are no USCG requirements, nor does the USCG have a policy regarding infant seating on recreational boats. Question: Are there break away infant seats available? USCG response: There are no USCG approved infant seats currently approved, and there are no such devices being tested to meet our PFD requirements. We are not aware of any such device being sold. Question: Does the USCG endorse any infant seats? USCG response: At this time we do not, because none have been submitted for testing. If a manufacturer designs one and submits it for testing, we will consider it for USCG approval. Recently, there has been interest from inventors who may develop such a device, but to date, none have been fully tested and submitted for approval. Question: What PFD does the Coast Guard recommend for infants. USCG response: The Coast Guard does not recommend taking infants onboard a recreational boat. The PFDs currently available for newborns up to 18 pounds may not provide a proper fit to perform as expected. Unless the parent is able to test their newborns out in a PFD, sized for infants, in a swimming pool, they will not know if that device will float their child with his/her head out of the water. You must be sure you know the PFD you have works for your infant. Otherwise we recommend the child not be exposed to any risk in a boat on the water. How can someone with a chest size larger than 130 cm (52 in) get a PFD that fits? What should a person do who exceeds the normal size range to have a personal flotation device (PFD) that fits? At some point for very large (or small) people, the individual must take responsibility for his personal equipment, because there are not enough people in the size range to make the expense of testing and approval practical for manufacturers. Because most recreational boating accidents happen so suddenly, it is important to find a PFD that you are willing to wear whenever on open decks. But, in open water, the more comfortable PFDs will not provide for extended survival. Therefore, for off-shore sailing, fishing, etc., we suggest that carrying two PFDs be considered. A Type II or III should be worn under most circumstances and a Type I carried to be donned then the weather turns bad or for the actual abandon ship situation. A Type V hybrid inflatable PFD could serve both purposes, but 52 inch chest size is the largest approved to date. Some manufacturers have designed Type II and III PFDs for larger chest sizes. Wearing a Type II and III together can significantly increase your chances of survival in rough water. You should test any combination you plan to use in calm water beforehand. Adult universal size PFDs are required to fit a range of chest sizes of at least 75 – 130 cm (30 – 52 inches). Manufacturers are shown in these lists for Type I devices made with kapok flotation material and foam flotation material. Type I kapok devices are all vest style designs and most of the foam devices are yoke/bib style. The kapok vest style design should fit chest sizes up to 137 cm (54 inches) without much difficulty. We estimate that a foam vest design will also fit most people of this size. Yoke/bib style PFD If none of these devices is large enough for you, you exceed the top 4th percentile of the population and individual measures must be taken to provide a PFD that will fit. Clip-on body strap extensions are the preferred method of accommodating large people. We suggest that an additional length of body strap be added to a yoke/bib style PFD, such as the type pictured at the right. The same types of materials should be used as in the approved PFD. The PFD manufacturer may be willing to provide the clip-on body strap extension or necessary material. The user should then test the modified PFD in the water. Modifying a PFD, such as (permanently) adding additional body strap webbing, voids the device’s approval, no matter who does the modification. However, for a person with a chest size over 130 cm (52 inches), using an adult universal PFD with a clip-on body strap extension does not void the approval. If a PFD manufacturer wishes to provide the body strap extension, we recommend that it be provided with a PFD pamphlet and a caution that the PFD with the extension be tested by the individual user. A PFD manufacturer (or anyone for that matter) may produce an un-approved device for larger persons without Coast Guard approval. We advise that any such device be tested in the water as mentioned above. If this option is chosen, an approved PFD must still be carried on board the boat. The SOLAS Convention requires a life preserver to support the head and turn an unconscious wearer face-up in the water. Cork and balsa wood life preservers manufactured under 46 CFR 160.003 and 160.004 do not meet these requirements. Manufacture of these life preservers ended on 1 July 1965, and all approvals for these items have been terminated. Cork and balsa wood life preservers manufactured prior to 1 July 1965 must have been retired from service by March 11, 1999 regardless of whether or not they remain in serviceable condition. Buoyancy – The tendency of a body to float or sink in water or any other fluid. Most people will naturally float in water, especially if they fill their lungs with air. Most require only about 11 pounds (50 Newtons) of extra buoyancy to keep their head out of water. That is why a PFD with just 15.5 pounds (70 Newtons) of buoyancy can provide adequate flotation for an adult — even a very large person. PFDs with 22 to 34 pounds (100 to 155 Newtons) can provide superior performance. Any body partially or completely submerged in a fluid is buoyed up by a force equal to the weight of the fluid displaced by the body. That means someone immersed in water is “buoyed” upward by a force equal to the weight of the volume of water that their body takes up (displaces). Gravity pulls a person’s body downward by a force equal to their weight. The difference between these forces is a person’s net buoyancy. A PFD is very light weight, but displaces enough water to make the PFD and the person wearing it very buoyant. It also follows that the people hardest to float are those with compact, dense bodies. These tend to be people with athletic body builds, with a lot of bone and muscle mass, and not much fat. Fat is not as dense as muscle and bone, so people who are overweight can actually be easier to float than someone who is much smaller and leaner. Heavy people do not need a higher buoyancy PFD because of their weight. Hypothermia – A lowering of body temperature, which can endanger survival. Water transfers heat away from the human body 25 times faster than air, so even moderate water temperatures can be dangerous in a relatively short time. Inflatable – A device which depends on flexible air chambers which can be filled with air or other gas (usually carbon dioxide) for flotation. Kapok – A natural silky fiber produced from the seed of the kapok (ceiba) tree which floats because of air trapped in the fibers’ hollow cells. Plastic Foams – Materials consisting of closed plastic cells which trap air and provide flotation. Flexible plastic foams used for buoyancy include Polyvinyl Chloride (PVC), Polyethylene (PE), and Neoprene. Rigid foams used in ring lifebuoys are often polyurethane. Newton – The metric (SI) system measure of force. A one pound force equals about 4.4 Newtons. Webbings or straps used to secure the PFD on the wearer that are ripped, torn, or which have become separated from an attachment point on the PFD; or any other rotted or deteriorated structural component that fails when tugged. 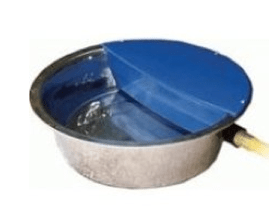 Buoyant material that has become hardened, non-resilient, permanently compressed, waterlogged, oil-soaked, or which shows evidence of fungus or mildew; or loss of buoyant material or buoyant material that is not securely held in position. Inflatable chambers that are all capable of holding air; Oral inflation tubes that are not blocked, detached, or broken; A manual inflation lanyard or lever that is not inaccessible, broken, or missing; and Inflator status indicators that are not broken or otherwise non-functional. The inflation system of an inflatable PFD need not be armed when the PFD is worn inflated and otherwise meets the requirements of paragraphs (a) and (c) of this section.